What is Germany’s Alternative für Deutschland (AfD) on about? The opportunities and temptations of a newcomer among Germany’s political parties. 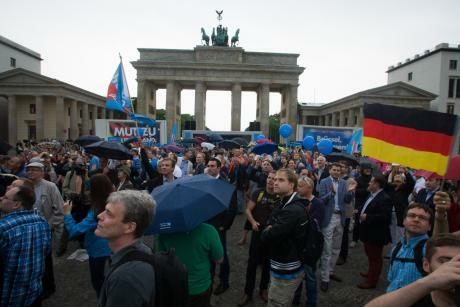 Alternative for Germany supporters march in Berlin. Demotix/Theo Schneider. All rights reserved. When the decision was taken to furnish all countries of the European Union with the Euro as the only currency--at least those not explicitly insisting on retaining their monetary independence--in the 1990s, this was a momentous choice for Germany.